Gary Kubiak was interviewed by the Detroit Lions for the head coaching position on Tuesday, as first reported by Jennifer Hammond of FOX 2. Kubiak was fired by the Houston Texans on Dec. 6 with three games remaining. The Texans were 2-11. It was Kubiak’s eighth season as coach. In 2012 the Texans started the season 5-0 and lost to the New England Patriots in the divisional round. The 52-year-old Kubiak has a 61-64 head coaching record in the regular season and is 2-2 in the playoffs. Kubiak, a quarterback at Texas A&M, served as John Elway’s backup for nine seasons in Denver. He has an extensive background as an offensive coordinator and quarterbacks coach. He was quarterbacks coach for the San Francisco 49ers in 1994, then moved to the Denver Broncos where he was offensive coordinator/quarterbacks coach from 1995-2002. From 2003-2005 he was the offensive coordinator with the Broncos. He’s been in six Super Bowls — winning three as an assistant coach with the 49ers and Broncos and losing three as Elway’s backup. The Lions have also interviewed Jim Caldwell, the Ravens’ offensive coordinator. Mike Munchak, who was fired by the Tennessee Titans, is set to interview on Friday. Ken Whisenhunt, the offensive coordinator of the San Diego Chargers, is expected to interview this week. The Lions have received permission from the Cincinnati Bengals to interview Jay Gruden, their offensive coordinator. All of the candidates have offensive expertise and all except Gruden have NFL head coaching experience. 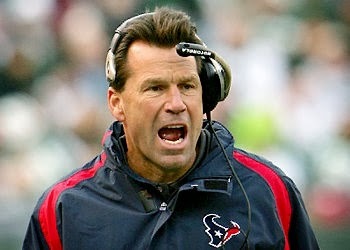 Get coach kubiak. But the lions are dumb u guys couldve got lovie smith. And get coach kubiak maybe he will be a good cach hes been a great head coach of the houston texans he took them to the playoff over 3 times. Get him!!!! ?